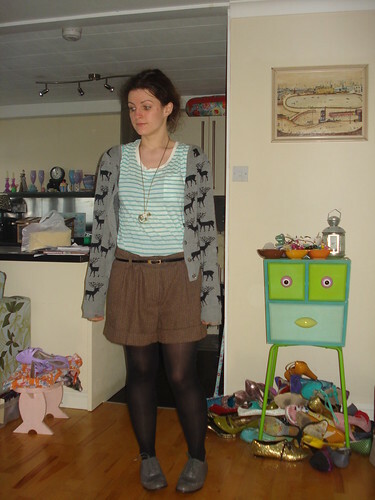 t*rexes and tiaras: we're going to the zoo, zoo, zoo..
Day 4 of Selina's fashion challenge asks for your favourite print. As I would have found it much too difficult to narrow it down to one, I've included a selection of my favourite printed items of clothing; the makings of what has been nicknamed The Wardrobe Zoo. I'm always drawn to what I'm told are "conversational prints" when out shopping, much more so than plain and sensible basics. 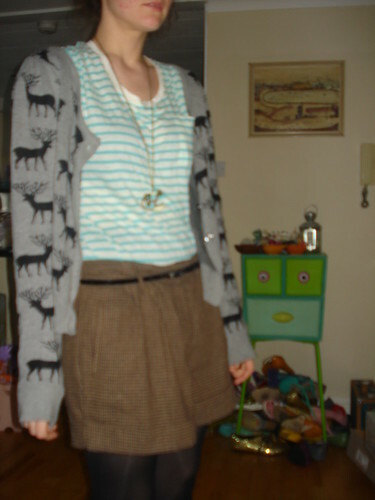 I'm not adverse to mixing prints together as well, which is probably a good thing as I'd be a bit stuck if I was. I wore this outfit last week - my favourite pair of shorts seem to get a lot of wear, despite being cinched in at the back of the waist with a safety pin at the moment until I manage to get around to taking them in - argh. 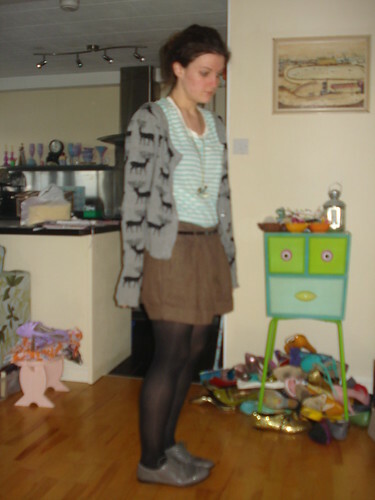 The top and the cardigan both came from Forever21 at different times; I have been to the Birmingham store a handful of times and after a fair amount of searching usually manage to come away with something good, but there is always so much to look at. Excitingly, it sounds as though there is soon to be a flagship store opening in Liverpool, too. The brogues have had a fair amount of wear recently, as well. Although I wonder if they make my (already fairly large) feet look a bit mannish, their thick, sturdy soles have made them a safe choice for all of the puddle-dodging I've been having to do recently. I'm certainly hoping the weather picks up a little at the weekend or the allotment will be looking like a jungle! 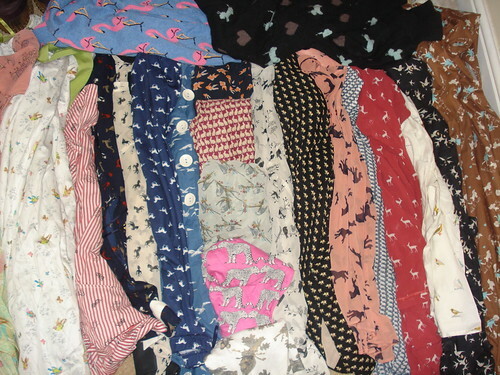 Ahhh all those gorgeous prints! Ha ha, I love your animal collection!